"Taking Care of Others Is Part of Life"
In ARCTIC, a wilderness survival adventure, a pilot crashes his plane in the frozen north and struggles to survive every day, then has to keep alive a female pilot whose helicopter crashed while looking for him. A classic wilderness survival story, ARCTIC keeps the audience captivated from beginning to end, with a strong redemptive, moral worldview extolling sacrifice and love for others, but some intense scenes, images of blood and a couple “f” words warrant strong caution. Every day is a fight for life for pilot Overgård after he crashed his plane in the bitter wilderness in the survival movie, ARCTIC. An unknown amount of time has passed since the accident, but it’s been enough for frostbite to already claim two of his toes. His day to day living is like clockwork: checking his fishing rigs, searching for a signal and further marking his “SOS” in the snow. One day, just when he’s about to turn back to his little airplane home for the night, the signal light flashes from red to green. He sees something he hasn’t seen in so long, a helicopter flying toward him. Rejoicing, he sends up his flare, flagging down the pilots. However, the winds are so rigorous that day that the helicopter is having trouble landing. Suddenly, a snowstorm gust throws the chopper right into the edge of a mountain, destroying it and taking down the pilots with it. In disbelief, Overgård heads toward the crash site. He finds one pilot dead, while the other female pilot struggles for breath. He finds their first aid kit and does his best to patch up the deep gash on her side. He takes her back to where he’s made his survival home and begins to try to nurse her to health. The next day he returns to the helicopter seeking anything that he could possibly use. Finding a small heater, a lighter and some noodles, he feels as if he has hit the jackpot. He cooks a hot meal of fish and Asian noodles, feeding the injured pilot small bites. In the helicopter, he found a photograph of the pilot posing with her husband and baby, and he sets it up next to her, hoping to give her the strength to not give up yet. Hopeful that a rescue team will soon be out searching for the helicopter pilots, Overgård encourages her to fight for her life, and that it will be okay because she’s not alone. However, days pass and his faith begins to waiver. The female pilot only seems to be getting weaker, and he has to make a decision soon if he’s going to keep her alive. He maps out his long journey to what he believes is safety and packs up everything that he can carry from the airplane. He now has to embark on an almost impossible journey, while toting a dying pilot behind him and trying to convince her to hold on to the hope of life. A classic wilderness survival story, ARCTIC keeps the audience captivated from beginning to end, clinging to the hope that the two pilots will make it out of the Arctic alive. With very little dialogue, the words that are spoken are that much more necessary, and the audience can easily feel the strong emotions put forth by actor Mads Mikkelsen. With only one cringing moment, this survival story isn’t too intense to properly enjoy. Although similar survival stories have been done before, ARCTIC has an entertaining new take on it. ARCTIC also has a strong Christian, moral worldview filled with sacrifice and selfless love. In the story, the male pilot truly begins to live when he must take care of another person. However, because of some intense scenes, images of blood and a couple “f” words, MOVIEGUIDE® advises strong caution. ARCTIC is a wilderness survival adventure. A pilot crashed his plane in the frozen landscape, with nothing but what’s inside his plane to keep alive. He’s fashioned a few fishing rigs to catch food and every day searches for some signal to summon help. One day, he fires a flare to a helicopter flying above him. However, the winds are violent that day, and the helicopter crashes, leaving one pilot dead and the other severely wounded. Now that he’s caring for two, he must decide whether to stay in the safety of his makeshift camp waiting rescue, or embark on a journey that could kill them both. 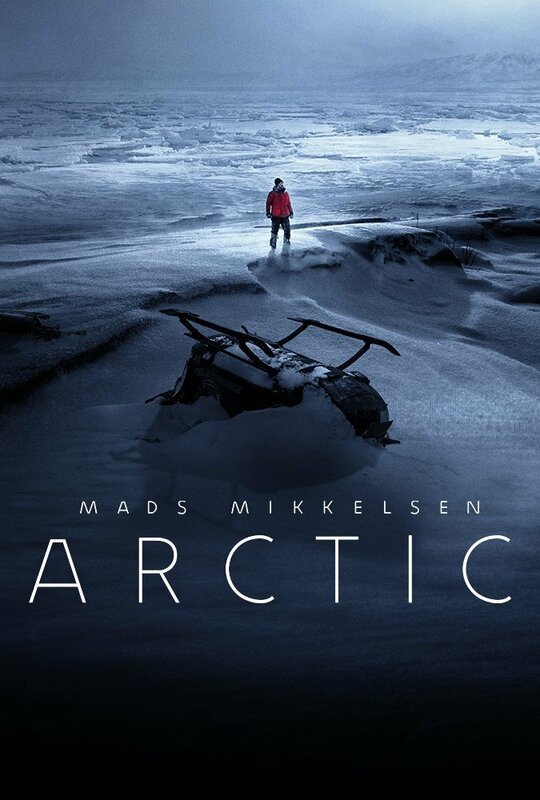 ARCTIC is practically a one-man show starring Mads Mikkelsen, who effortlessly keeps viewers entranced in this classic survival story. With little dialogue, he speaks very loudly, allowing viewers to feel his emotions in every word. First-time Director Joe Penna delivers a compelling story with ease. ARCTIC has a strong redemptive, moral worldview extolling self-sacrifice and relentless love for others. However, intense scenes, images of blood and a couple “f” words warrant strong caution. Baby with Impaired Vision Receives Glasses to See His Mom for The First Time!